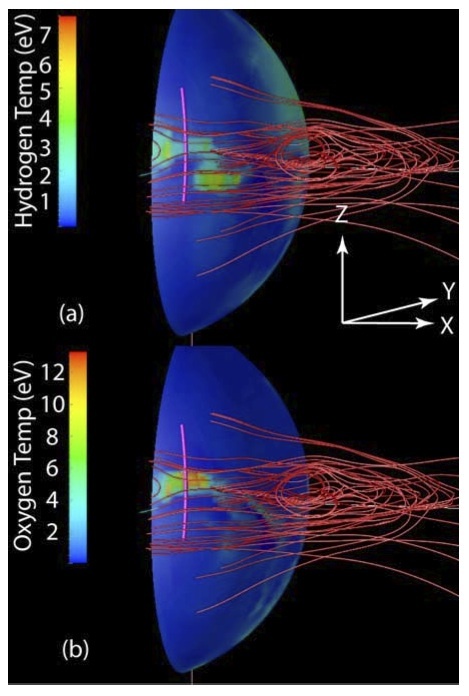 Simulations by Harnett et al. show that the strong southern magnetic anomalies on Mars create a magnetopause-like structure (a mini-magnetopause) in place of a magnetic pileup boundary. 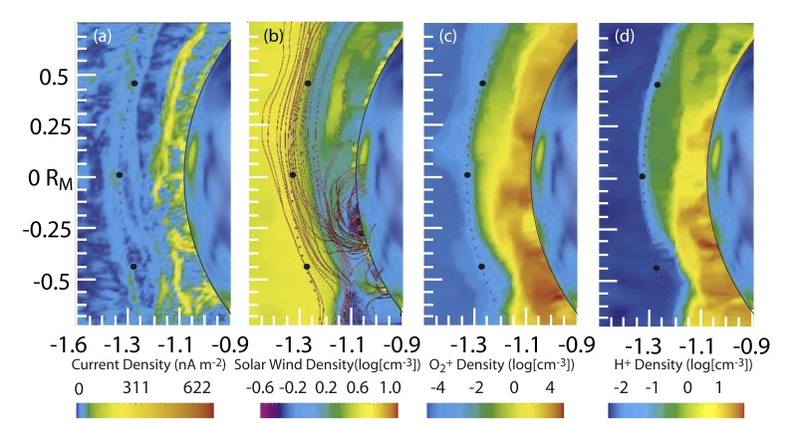 The effect of the crustal magnetic field on ionospheric loss rates was shown by Harnett et al. to be on the order of 1025 O2+ ions/sec for quiet solar wind conditions and 1026 O2+ ions/sec for storm-like conditions. Harnett  compared Mars Global Surveyor energy spectra to those in the multi-fluid model to show that the formation of flux ropes at Mars can lead to enhanced heavy ions from the atmosphere.